On average, a person snuggles a Yeti exactly zero times during their lifespan. A shame; abominable, really. 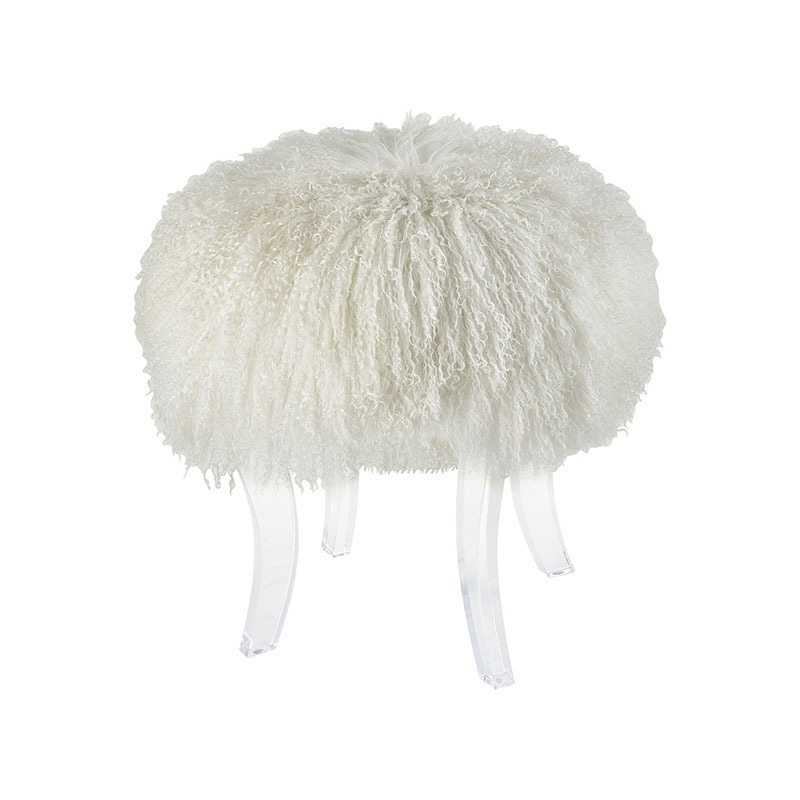 The Hair Apparent Genuine Mohair Stool give you the super-fluffy-white-tickly-cuddlefest experience, but in a really chic way, so you’re not humiliated. Modish acrylic legs. Fashionable Hollywood Regency motif.